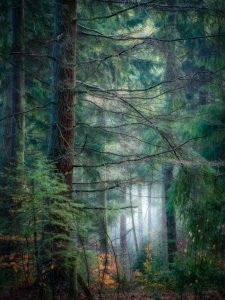 Congratulations to the winners of last Wednesday’s Print Competition (Round 3 – “Open”). The Judge was Jon Mitchell. Unfortunately I couldn’t be there as I was in Wales. Excellent images all round from what I have since seen, and another good result for Mike Hughes! He really is having a good season. Well done everyone. 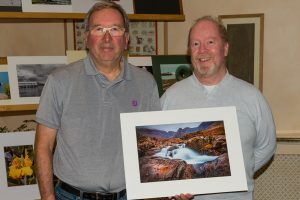 Mike Hughes (left) with his winning image “Mountain Stream”. Shown here being congratulated by Judge Jon Mitchell. Unfortunately (or fortunately, depending on your point of view) I was not available for a photograph as I was still in Wales. 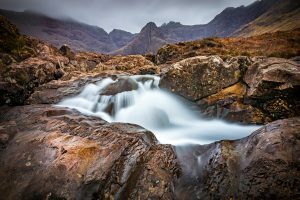 Our next competition is a PDI competition (Round 3) – “Intentional Camera Movement”. This will be held on Wednesday, 25th April. The Judge will be Ken Woods.